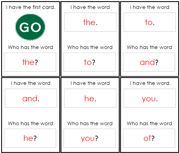 A fun group game to work on phonetic beginning sounds. 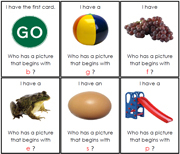 12 Photographic cards used to help 'imagine' a story. 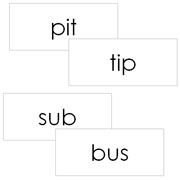 4+ Letter phonetic picture cards. 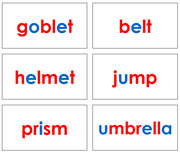 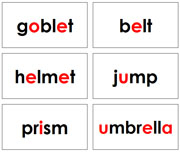 3-Letter phonetic sentences and pictures. 26 Pairs of reversible word cards. 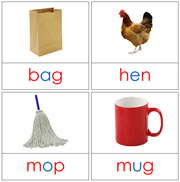 Simple phonetic rhyming words and pictures. 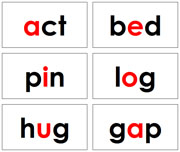 Complex phonetic rhyming words and pictures. 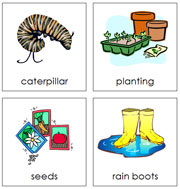 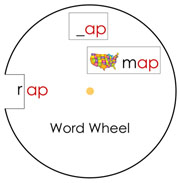 Complex phonogram rhyming words and pictures.